Hospitalizations from opioids are up, including for very young children who are believed to be getting into their parents’ treatment medication. With pediatric opioid hospitalizations and intensive-care admissions sharply rising, young children have increasingly become collateral victims of the opioid epidemic, according to a new national study. In addition, opioid-related hospitalizations for youngsters ages 12 to 17 – believed to be from suicide attempts as well as recreational use – also soared. 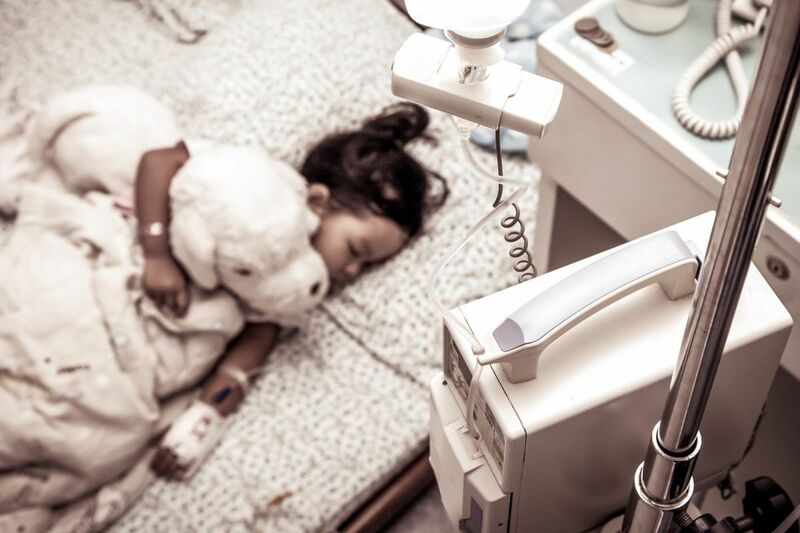 Of the more than 3,600 pediatric opioid-related hospitalizations examined from 2004 to 2015, nearly 43 percent were severe enough to be admitted to intensive-care units. In addition, 37 percent of the young patients had to be put on mechanical ventilators and more than a fifth required medication to prevent cardiac arrest, the researchers found. "The U.S. opioid crisis is negatively impacting children, and the rate of hospitalization and [pediatric intensive-care unit] admission for pediatric opioid ingestions is increasing," states the study published Monday in the journal Pediatrics. The research analyzed data from the Pediatric Health Information System, which is gathered from 31 hospitals nationwide. The researchers did not know what hospitals were involved, but a lead author of the study said information from Children's Hospital of Philadelphia is often included in the database. While the opioid-related incidents were a relatively small percentage of the nearly 4.2 million children's hospitalizations during the 11-year study, they reflected a 35 percent increase in pediatric intensive-care admissions for ingesting the drugs, according to the study. The older children – age12 to 17 – made up about 61 percent of the youngsters treated. The study did not analyze how many of those cases were due to suicide attempts or overdoses from recreational use. However, more than a third of the children admitted were between 1 and 5 years old. About a fifth of those very young patients had ingested methadone, an opioid-based medication that researchers surmise was prescribed to the adults in their lives. "These are truly secondary victims," said lead author Jason M. Kane. "They are, at no fault of their own, being poisoned by drugs that are in their home, and they're in the home because of this national adult opioid crisis." Kane, an associate pediatrics professor with the University of Chicago, said adult health providers need to do more to educate their patients about the potential dangers to children of having opioid medications in their home and the need to take the necessary safeguards. "I don't think they're doing enough to tell patients who are using opioids either by prescription or to wean from their opioid problems the possible consequences of having those medications in their homes," Kane said. Opioid-related admission data for CHOP were not available Friday. Athena Zuppa, an intensive-care physician with the hospital, said children's access to opioids has likely increased in recent years. She said there is also more sensitivity to the opioid problem, which may have an impact on data available. "What's most frustrating is this is entirely preventable," said Kane.